The occupation by the British at the end of the 18th century brought an end to the free and unified Chinland. Their territory was divided into separate administrative zones and in 1948, when Myanmar became independent from Britain, the Chin people were further divided, as official international boundaries were demarcated. In 1962, a military coup ended Myanmar’s democratic system. Nearly 50 years of military rule followed during which the rights of the Chin were systematically violated. As the majority of the Chin is Christian, while the de facto State religion in Myanmar is Buddhism, the Chin are discriminated against and marginalised. According to Burma’s 2008 Constitution, Buddhism has a special status in the country, while minority religions are just recognised as “existing” but not explicitly protected. In addition to a disproportionately high poverty rate, the Chin are facing human rights violations on a large scale. The Christian Chin people face violations of religious freedom, forced labour, sexual violence and extra-judicial killings. 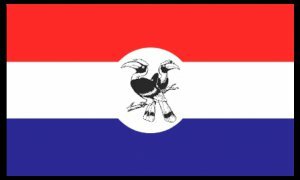 During their UNPO membership, the Chin National Front advocated for the establishment of a genuine democracy, respect for their right to self-determination and an improvement of their political, economic and social statuses.